One thing we love about weddings is how diverse they are. Last week we photographed an incredible Indian wedding with hundreds of guests. It was amazing. Contrast this with Robin and Jonthan who celebrated with a handful of their closest friends and family with an intimate ceremony at Cafe My House. It's always a pleasure to capture the different ways that couple's choose to celebrate their marriage. 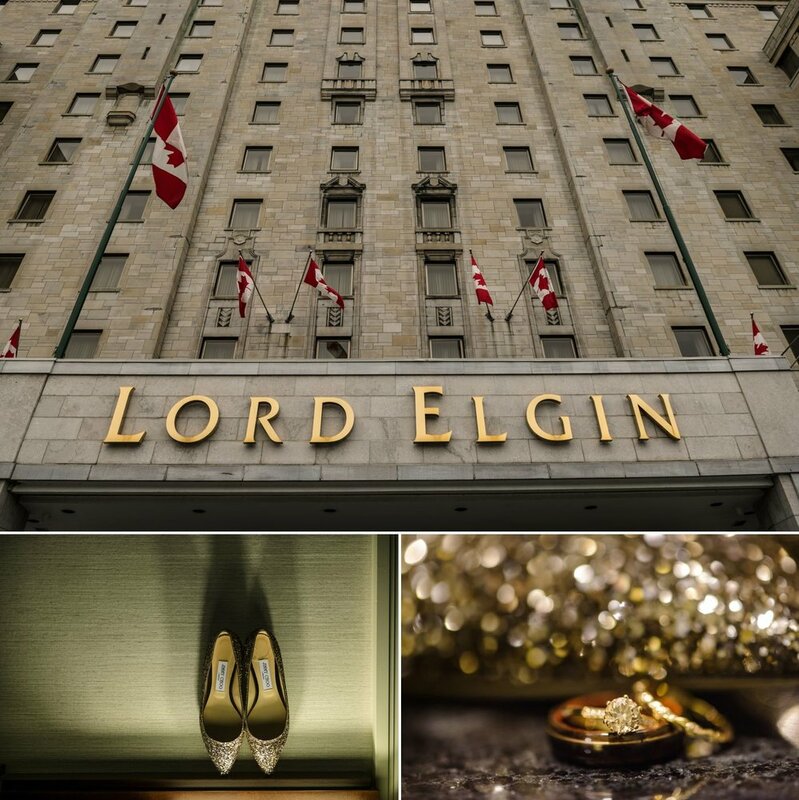 Before their ceremony, Robin and Jonathan got ready together downtown at the Lord Elgin and then took a little walk with us to capture some portraits with an urban theme. Here's a little sample! Enjoy!